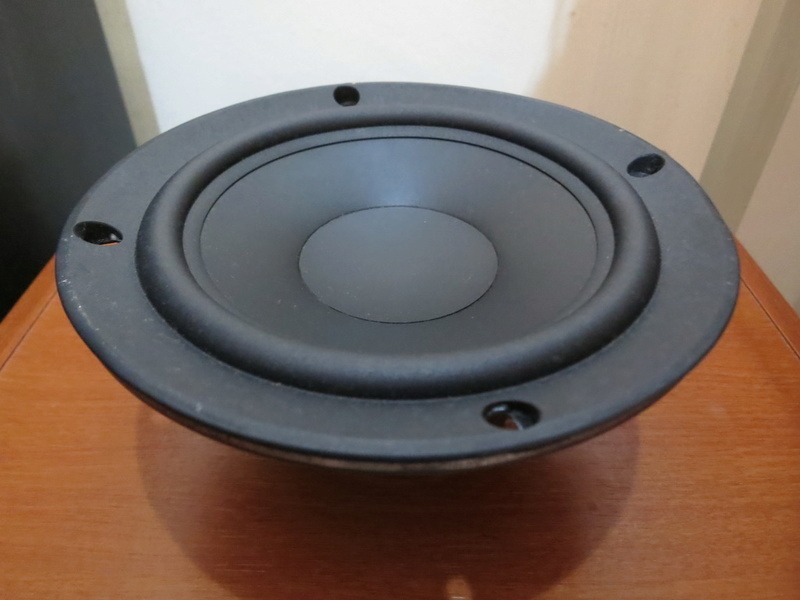 4 ohm 5-3/4" mid-woofer with treated paper cone, inverted paper dust cap, and rubber half roll surround. 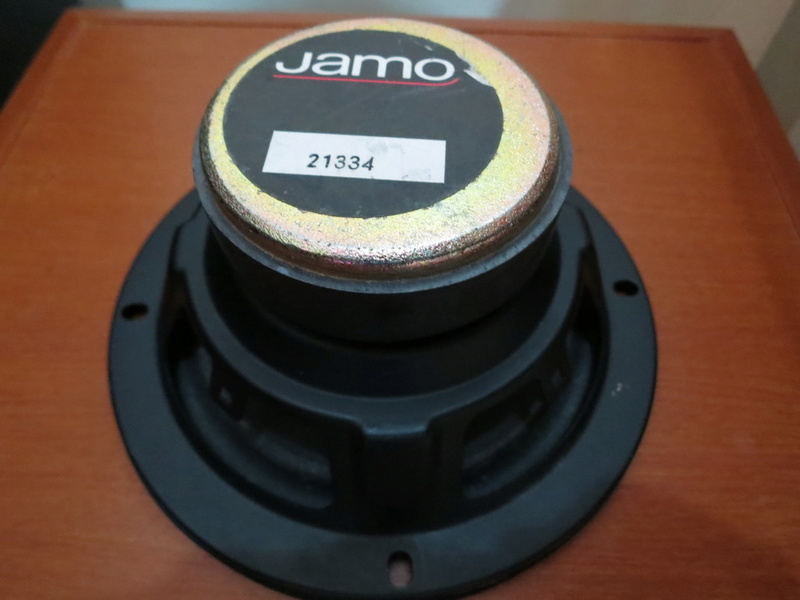 2-layer copper voice coil on a 1" diameter vented aluminum former. Oversized cosmetic rubber front gasket. Recommended for bass and midrange use in sealed enclosures. Buyout, limited quantities. 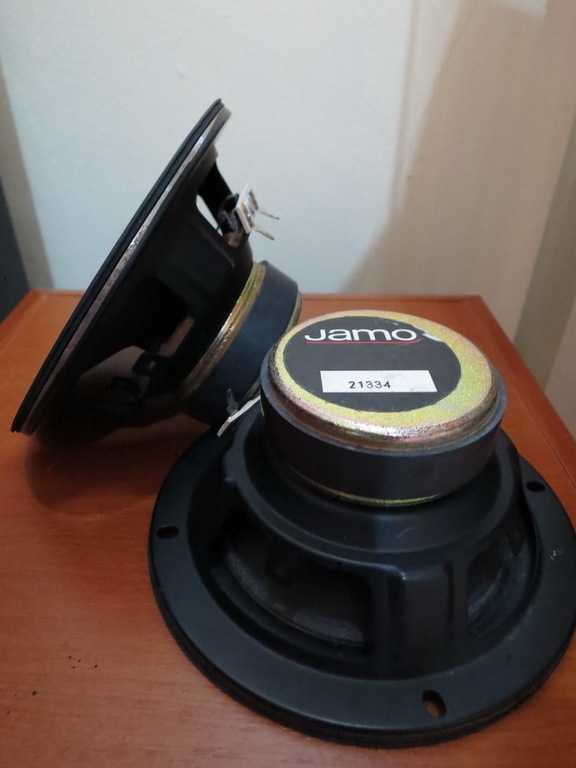 Specifications: *Power handling: 30 watts RMS/60 watts max *VCdia: 1" *Le: 0.58 mH *Impedance: 4 ohms *Re: 3.37 ohms *Frequency response: 40-5,800 Hz *Fs: 70 Hz *SPL: 85 dB 1W/1m *Vas: 0.22 cu. ft. *Qms: 4.38 *Qes: 0.92 *Qts: 0.76 *Xmax: 2.5 mm *Dimensions: A: 5-3/4", B: 4-5/8", C: 2-3/4".